RTI refers to Right to Information. In 2005, the Right to Information Act (RTI) was passed in the parliament of India. It permits the citizens of India irrespective of his/her gender, caste, and creed, to have a right to question the performing government about any of its functionalities, services, and projects. It is one of the most important acts that guarantee the rights of the people in India and enable transparency in government operations. However, the state of Jammu of Kashmir has its own RTI act with some modifications. 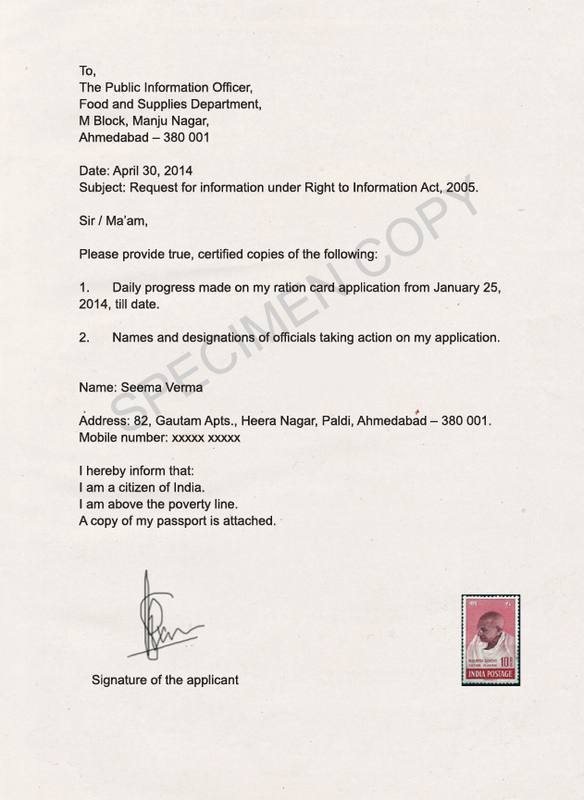 Let’s look on how to file an RTI in India. RTI refers to Right to Information. In 2005, the Right to Information Act (RTI) was passed in the parliament of India. It permits the citizens of India irrespective of his/her gender, caste, and creed, to have a right to question the performing government about any of its functionalities, services, and projects. It is one of the most important acts that guarantee the rights of the people in India and enable transparency in government operations. However, the state of Jammu of Kashmir has its own RTI act with some modifications. Let’s look on how to file an RTI in India. RTI can be filed online as well as offline. Although online RTI can be filed only for the Central Government Department and officials such as PMO, the President, etc. 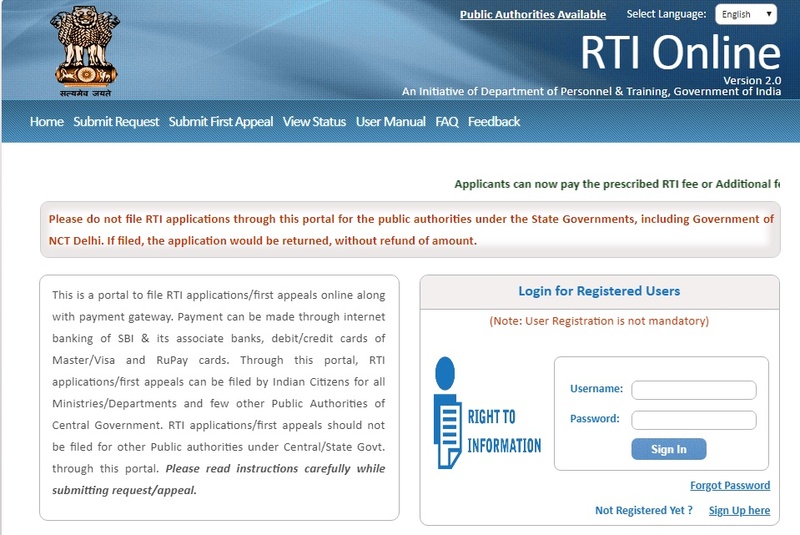 You cannot file RTI applications online for the public authorities under the State Governments. •	First step will be making sure that on which department you want to file the RTI. Once decided go to https://rtionline.gov.in/ and register yourself. Then read the guidelines and start filling the application. Make your application legit, to the point and include what you are seeking from the department. The application has to be within the limit of 3000 words. Also, there is a section for uploading supporting documents. At the end pay a minimal fee of 10rs and wait out the processing time. 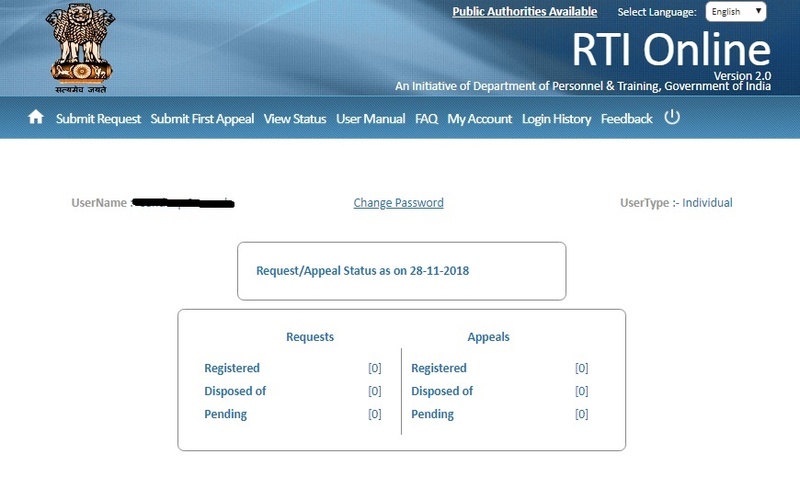 Step 1- Log on to the official RTI website. You will see the similar homepage below. 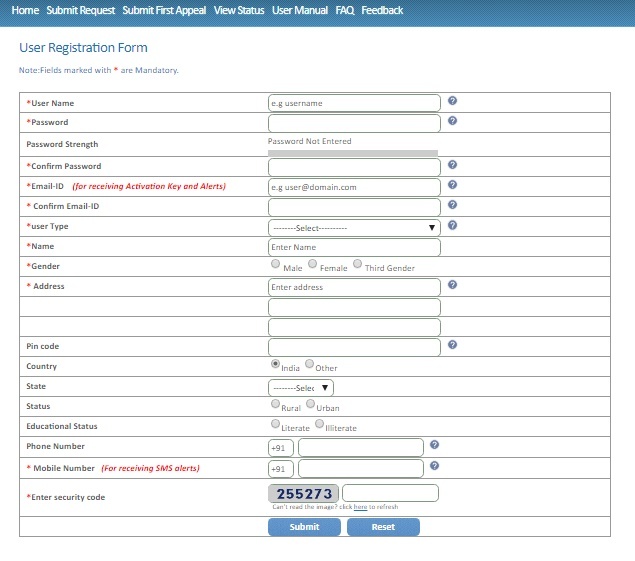 Step 2- Click on Signup and enter your details such as name, email, address, phone no. , etc. Step 3- After you have signed up, they will send you the activation key to your email. Enter the activation key to activate your account. 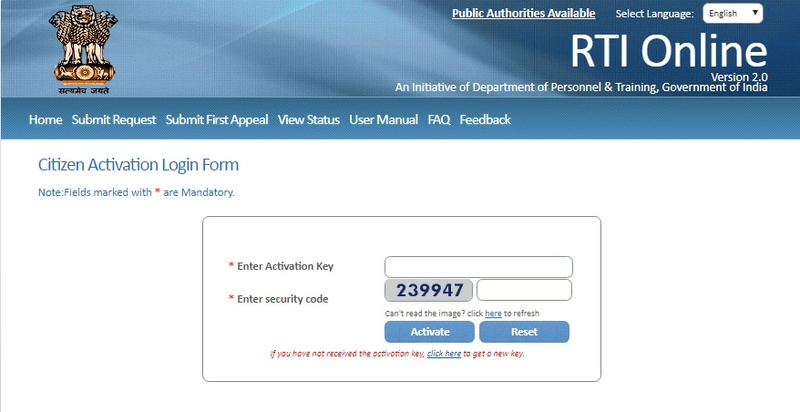 Step 4- After you enter the activation key, your account will be active and you can log in to it anytime to file RTI. Your account page will look like the image below. 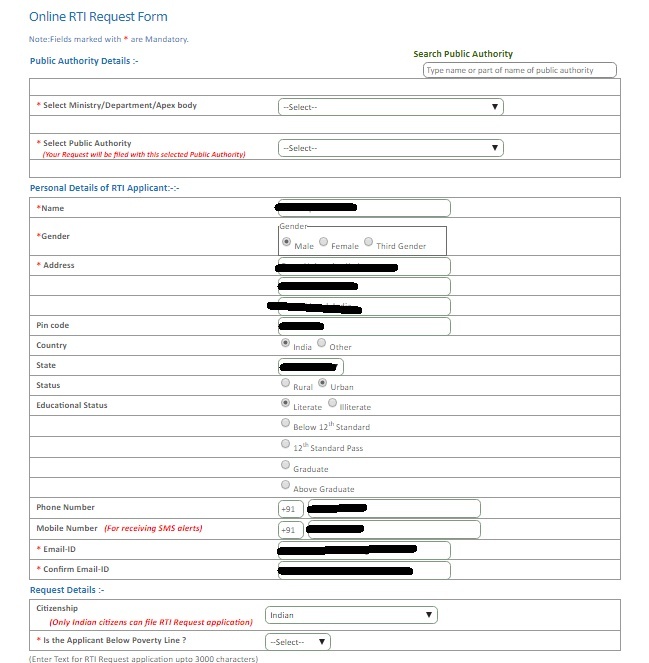 Step 5- To file RTI click on submit request, then the website will show you a few guidelines, read them carefully and click on agree. 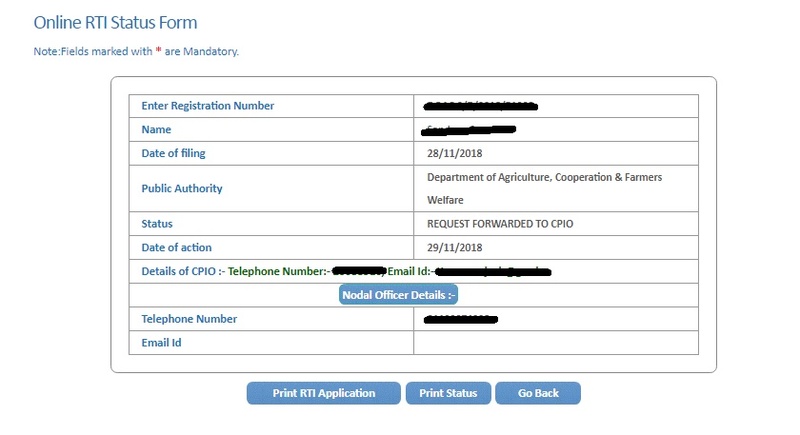 Step 6- An application request form will appear, fill in the details of the authority to whom you would like to address the RTI, also you can write the complete issues in the box provided. 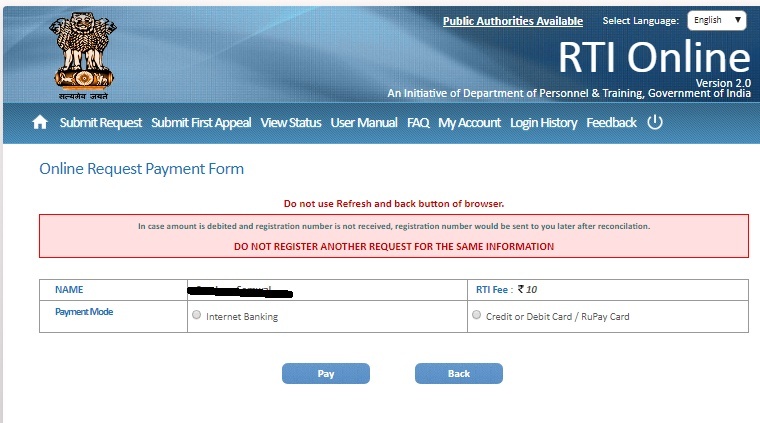 Step 7- After you have filled the request form, you will have to pay a fee of 10rs, click on pay, it will redirect you to the payment page. Step 8- Make the payment. 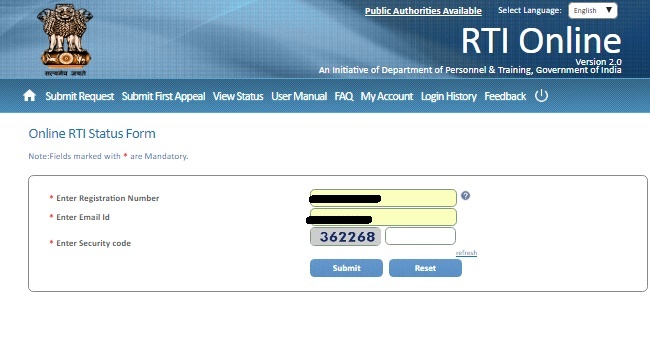 Step 9- After you make the payment, you will be given a registration number. Keep it safe for checking the status of your RTI appeal. 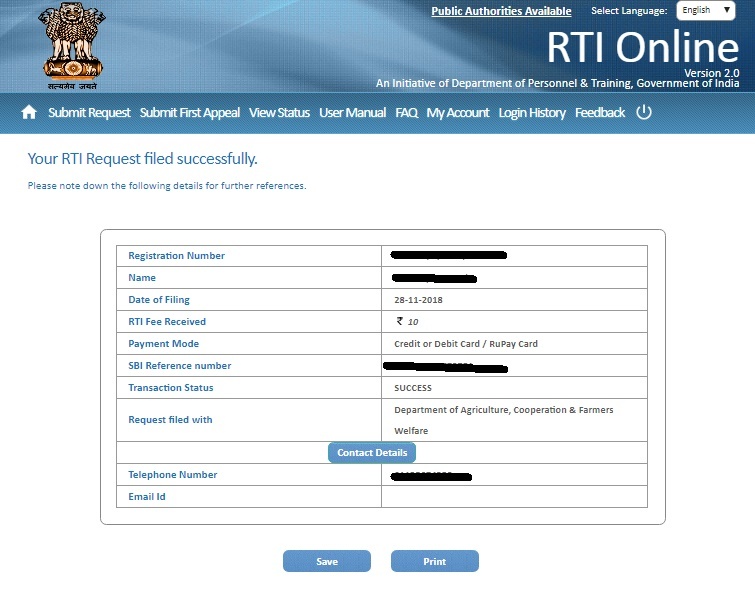 Step 10- You can check the status of your RTI by providing the registration number. This is the old school way of filing an RTI, just pen and paper, similar to writing an application. •	First understand what kind of information you want and the reasons for filing the RTI. Then, you must identify the Public Information Officer (PIO); this is who you are addressing the application to. •	The second thing will be writing the application on a plain sheet of paper, you can also type and print the application. Make sure it is clear and to the point. Include your name and all contact details so that the information can be delivered conveniently. Send it to the PIO by post or else personally go and deliver it to her/him. •	Thirdly, if you have some documents that are necessary for the PIO to find and supply the demanded information, then attach those documents with the application. •	A fee at the initial stage, a standard payment of Rs. 10 is made in favor of the public authority. 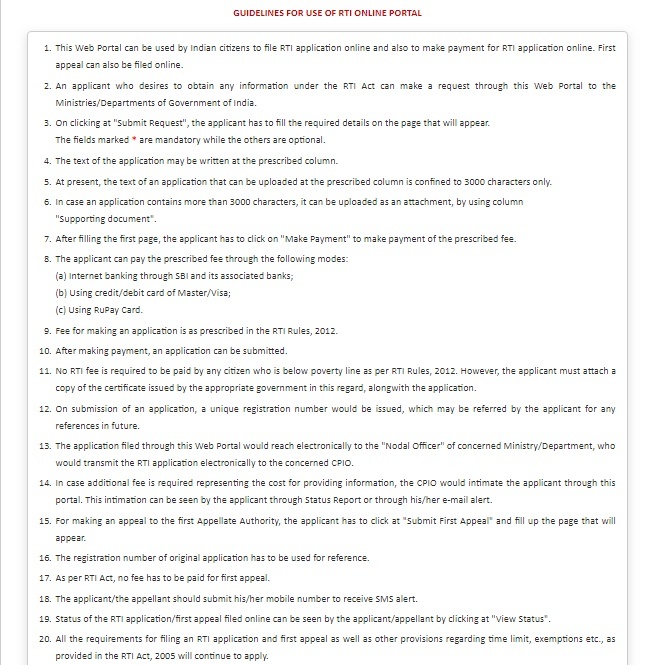 •	The PIO receives the application, inspects it and replies to the applicant indicating the cost of providing the information (this includes paperwork/photocopy money-You can pay here https://www.epostoffice.gov.in/ ). •	If you haven’t received any response from the PIO, then you can file for an appeal after 30 days.